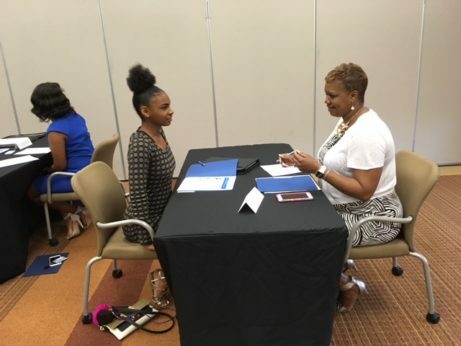 The Interns4Tomorrow program provides high school students with college and career readiness training, as well as real-life internship opportunities in metro-Atlanta businesses. 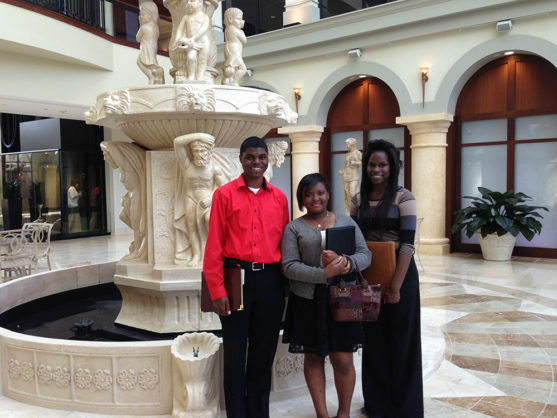 Our goal is to empower young adults with the skills needed to make informed and confident choices about their future. With the knowledge and experiences gained through Interns4Tomorrow, students will have a better opportunity to dream and plan for next steps after high school. Qualification: Interns4Tomorrow is by invitation only to high school students who have successfully completed at least eight years of Kidz2Leaders programmiing. Students can participate in the program for two years. 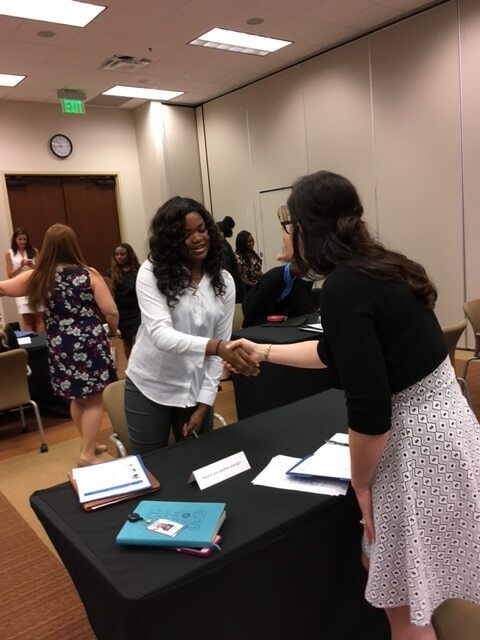 Curriculum: Interns will learn basic business etiquette, how to write a resume, interview properly, and dress professionally. We will also spend time creating a development plan for their future, mapping out goals for each year. 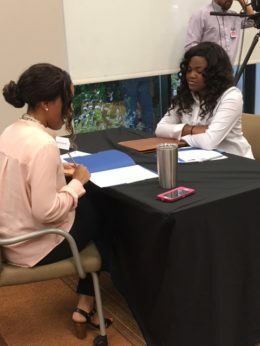 Each intern has a Business Coach that works directly with them to maximize training and professional connections. Schedule: Interns complete five training Saturdays in the spring once a month before they begin their three-week internships in June and July. 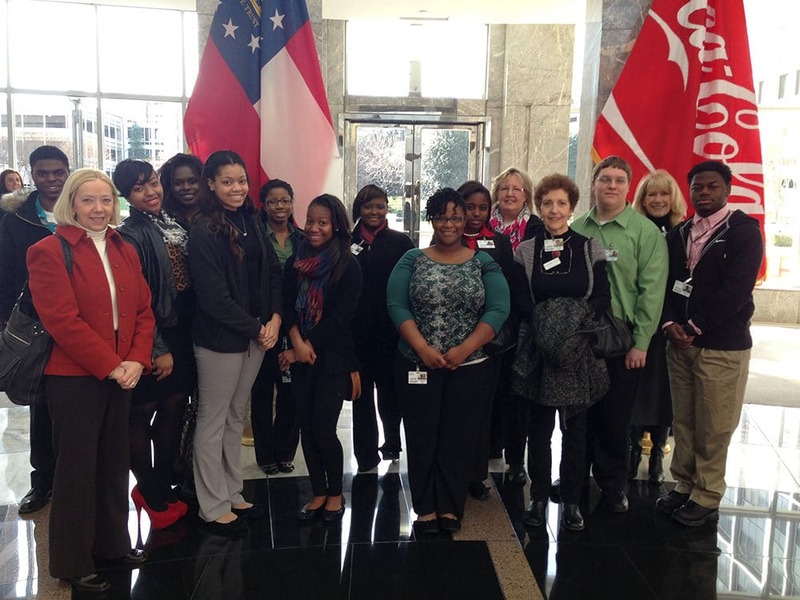 In addition to monthly training, they also attend a business and college tour each spring. 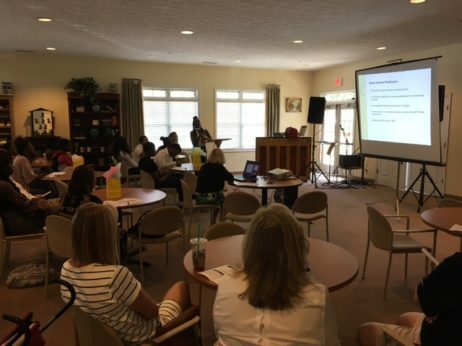 At the end of the summer, the students create a presentation for the business partnerships and the Board of Directors about their internship experience. Every two years, the Interns4Tomorrow program provides a business trip for each intern to New York City after successful training and internship completion. Lastly, interns participate in a money management retreat each fall, designed to help teach the basics of financial literacy. Scholarship: After completing the Interns4Tomorrow program, graduates are eligible for the Elgar Scholarship to help fund accredited vocational school, technical school, or a two or four-year institution of higher learning as a full-time student. Our students rely on experienced role models to guide them through the program. 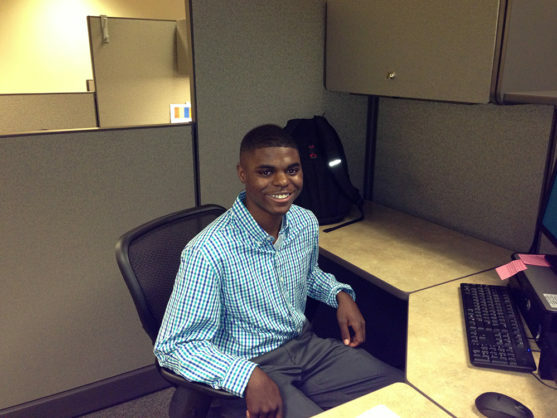 Help change the trajectory of the life of a teen by volunteering with I4T! Interns4Tomorrow is a year-round program of Kidz2Leaders. Check out our program dates for 2019! Contact Courtney Conway, Leadership Programs Manager.